colour print from woodblocks, 1858. Published by Tsutaya. Fuji from Koshigaya, Musashi. 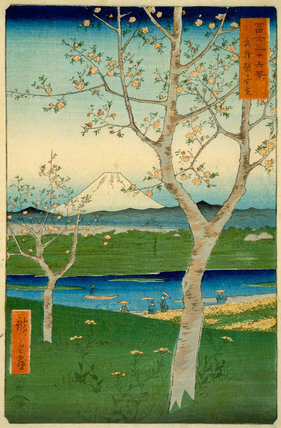 From the series Fuji Sanju Rokkei (Thirty Six Views of Fuji).